On the 2nd of February 2017, 2PS revisits its roots, helping build young businesses at the largest startups garage in Montreal. There are over 30 kiosks to discover at M-Style, allowing you to meet, talk and share ideas with Montreal's entrepreneurs. Post your need on our website! 2ps' booth is offering your business the chance to book an appointment with a consultant of your choice. Within 30 minutes, your business needs will be evaluated, general advice offered, and, through our smart technological platform, a relevant consultant selected to continue on the conversation outside the event. M-Style is also the battleground for an "Elevator Pitch Contest". 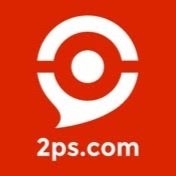 2PS will be providing ten hours of free consultancy to the winning start-up. The winning team will receive professional advice on a subject of their choice, including R&D Tax Credit, Marketing Plan, IT Solution Choice, Web Strategy and more. Get the head start your business needs. Book now.